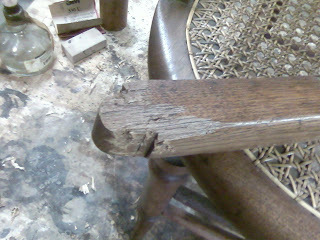 I received two walnut Eastlake arm chairs recently that had been damaged by a dog chewing on the arms. 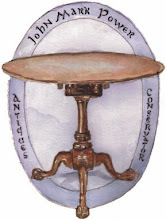 If you type "Eastlake" into the blog search box above, you will see earlier posts I have written on Eastlake furniture and its links to pages on Eastlake Furniture and its designer Charles Eastlake. 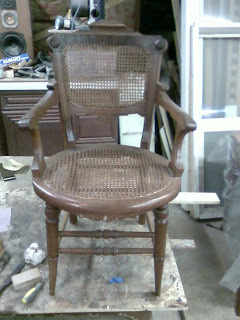 The Photos below show the damage to one of the chairs and a loose arm being repaired and glued in place. 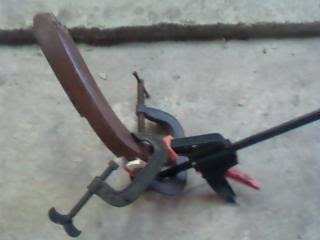 Damaged arm Arm disassembled with loose pieces. 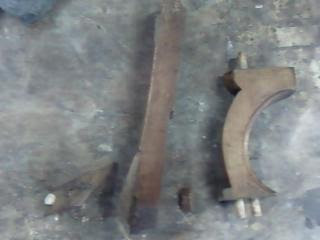 Part of arm being glued. 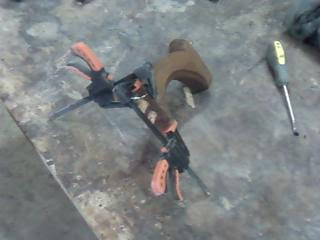 Other section of arm being glued in place. 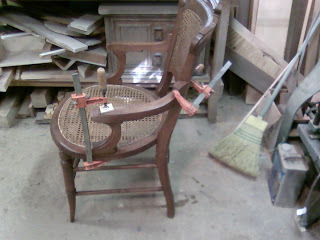 Arm being glued to chair.